These are the same strategy as that of the anti-UC unified front by the anti-UC ministers and the Japan Communist Party. The reason why anti-UC ministers attack the UC is that the DP asserts the limitation of salvation by the cross. For the JCP, it is that the DP is the basis for the VOC theory. The goal of their strategy is to exterminate their enemy. So, when the anti-UC ministers say, “Let’s save the members of the UC,” it means that “Let’s exterminate the members of the UC,” through debates. “Let’s save (them)…” by the Okamoto group sounds roundabout but also means the same. In order for the UC to bring them to natural submission, it has to win the battle of ideas and teach the existence of God (the Original Devine Principle) and convey the heart of God (true love). 1.1 Who Reveals the Truth? In order to win the battle of ideas one has to know how the opponents see things and how they think. Adam is the one who lost the Word by the fall. Therefore, it is the responsibility of Adam (the Messiah) to restore the Word, not somebody else’s. None other than the Messiah can reveal the “perfect truth” (the “ultimate truth”). Every Christian should know this. They would not believe any claim that somebody other than the Christ has disclosed the “key to Heaven” (the truth). When you read Cheong Seong Gyeong, Peace Messages, Blessed Family and the Ideal Kingdom, etc., it is clear that the definition and explanation of the DP are done by Reverend Moon’s teachings. It should not be done by someone in a position of the restored Archangel. ① “To know the truth substantially” means that “In the future, Reverend Moon’s teachings” will be expressed more in detail and “directly and literally” as they are spoken. ② It means that “In the future, Reverend Moon’s teachings” will be organized and analyzed in detail by someone. Which is right between the two? It is not until by the “hands of fallen men” (Exposition of the Complete Testament Principle edited by Mr. Okamoto, Volume 1, p. 17) that the “teachings of Rev. Sun Myung Moon can be organized, analyzed and be known.” (95+13 Proposals, p. 59). But the first interpretation is right. 1.2 Omnipotent Key to Solve Metaphors and Codes? What does Mr. Okamoto want to say who proudly asserts that “He has found a ‘key’ to solve Reverend Moon’s teachings.”? He means that the “key” is necessary to understand parts of the teachings in metaphors because Reverend Moon does not always use direct expressions but he has used “implications, metaphors, body expressions and signals.” (95+13 Proposals, p. 89). This key is, when reading, a “preceding understanding” the reader should have, and with the key, he wants to say, “Any teachings can be comprehended clearly.” That means, this key is the “omnipotent key” and the “interpreting principle” they should have along with the teachings. After all, although Mr. Okamoto says, “Reverend Moon’s teachings are the absolute standard,” (ibid., p. 57), he says, “We need to have the key beside the teachings.” and thus created a “new standard to interpret the truth.” He monopolizes the right to interpret the teachings. Mr. Okamoto has his own interpreting principle and judging standard other than Reverend Moon’s teachings, as seen from his words such as “from the viewpoint of the principle within his teachings or the integrated judgment of the whole of Reverend Moon’s teachings.” He makes this subjective interpreting principle and judging standard absolute. He, making use of the absolute authority of the teachings, created a new interpreting principle called the omnipotent key (？), and by that, he interprets that Reverend Moon’s teachings on Christians, the Korean language, boundary lines, the hometown providence, ships, bridges, helicopters, etc are metaphors and codes with hidden meanings. He plants it as a mental image of the mold in his members’ minds so as to lead and control them. Then what is the principle of the Okamoto theory which claims that he has discovered the “principle in the teachings”? It is not the principle in the DP called the Principle book, but the “Complete Testament Principle”（Exposition of Complete Testament Principle）he made up. Its view of the original sin is not that of the DP. It is the same as the internal nature theory of the original sin (selfishness) in the existing theologies. They read the teachings from a biased view of this theory of the original sin with their own preceding understanding, which means that they draw conclusions before the teachings are taught. And they claim that there are discrepancies between the DP and the teachings. They are to know why Reverend Moon says that internal nature (selfishness) is the motivation of the fall, not the original sin. The Okamoto theory adds notes to the teachings as the following. To the teaching: “You are not to follow any teachings except the teachings I taught and my Principle,” he adds a note as follows: “except the teachings I taught and my Principle (note: in the teachings)…” (The One Hundred Proposals, p. 181). Needless to say, “my Principle” implies the ＤP, but the added “note” denies that and instead of the DP he is trying to introduce shrewdly something called the Complete Testament Principle of his theory, replacing the DP. To say, “The teachings are the absolute standard,” to judge the truth but willfully to insert “notes” in order to accord the teachings with his opinion is malicious. 2.1 Has The Messiah (the Fourth Adam) Come? Likewise, they claim that the “fourth Adam” (the Messiah) other than Reverend Moon has already come. If the Okamoto group believes that the Messiah who is not Reverend Moon has come, then who is Reverend Moon to them? Certainly there was a period in which Reverend Moon walked a course to act the surrogate John the Baptist because of the disbelief of Christianity for a certain period of time. But he succeeded and could stand in the position of the Messiah in 1960. The Okamoto group, however, does not recognize his success and leaves him in the position of John the Baptist. They called Reverend Moon True Father at first [confessing their faith] but at the end they changed and abandoned their absolute faith in Reverend Moon and now say that the fourth Adam [to come] is the Messiah. This is their honest truth. As the teachings write, “The blessed families connected centering on Father’s Family are one new tribe.” (Blessed Family and the Ideal Kingdom I’, p. 1,060), the opening of the Gate of Heaven cannot be done without the Messiah’s Family. In addition, Reverend Moon says, “Making children who inherit a new blood lineage of God is what the UC does.” (ibid.) Through the three-and-half year struggle in the US (April 1, 1973 ～September 1976), “the world history level victorious foundation of the UC was established both spiritually and physically.” (Blessed Family and the Ideal Kingdom II’, p. 730) The third Israel (the UC) brings both spiritual and physical salvation, which is the realm of the sphere of God’s blood lineage. The teachings are very different from the Okamoto theory which insists on another fourth Adam who is not Reverend Moon. 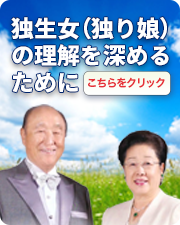 Likewise, the “position of the blessed families who were blessed” by True Parents is “above the perfection level of the growth stage.” But the Okamoto theory affirms that “Conditionally blessed families are not blessed substantially but the ‘position’ of the perfection level of the growth stage is blessed and they still remain in the non-Principle realm under Satan’s dominion.” (The Exposition of the Complete Testament Principle, Vol. 1 edited by Okamoto, p. 94) Likewise, the conclusion of the Okamoto theory deviates from the teachings. ① It is the individual course up to the point of the perfection level of the growth stage. Chosen people of Israel remain in the realm of the servant based on the justification by deed (other religions as well). Christians remain based on the justification by faith in the realm of the adopted child. (Blessed Family, p. 40) The Okamoto theory says that we go up by making a foundation, but we do not go up by making trinities. ② A hard task to go over the death line (the perfection level of the growth stage) can be realized by the liquidation of the original sin through the Blessing by True Parents. It will not be done by the fourth Adam as the Okamoto theory claims. ③ According to the Okamoto theory, the “Adam’s family” (an eight-member family) is made of three blessed families and by this foundation it is possible to go over the “line of death.” However, the eight members in the Adam’s family mean three spiritual children. (Blessed Family and the Ideal Kingdom I’, p. 1,006)　The model of this “eight-member family” is the structure (foundation), which is the Holy Wedding of True Parents (the Marriage of the Lamb) and the Blessing of the three disciples (three spiritual children), which surpassed the line of death for the first time in human history. Likewise, Mr. Okamoto, the proponent of the One Hundred Proposals, who pretends to be a reformer, adds notes to the teachings, twists the meanings, and creates an exposition principle other than the teachings by utilizing (abusing?) the authority of the teachings. He is aiming to create a false Kingdom of the Messiah by planting a mental image of it (metaphors and codes) into his members’ minds and thus controlling them and by setting up a figure who is the fourth Adam (puppet). This is his ambition and his identity. ※In Japan a raccoon is a symbol of a cheater or deceiver. What Mr. Tatsunori Okamoto calls the Complete Testament Principle is not written in the view of systematic theology like the DP. He only borrowed the essence of the DP and put his own spin on it. He twisted the Principle of Creation and especially, focused on criticizing the Human Fall, and further made up his own arbitrary theory of salvation and providence. As seen in the booklet the One Hundred Proposals (95 + 13 Proposals), we cannot downplay the criticism of the Human Fall, which can only be done by someone who knows the teachings and the DP. Mr. Okamoto alters the growth periods to 6x6x6=18, by quoting the teaching: “Adding 6 to 6 to 6 makes 18. It means bringing Satan’s number, 6, completely under control.” (Blessed Family and the Ideal Kingdom I, p. 1,076) However, this teaching is explaining about the significance of the 1800 Couples’ Blessing. It cannot be the grounds for altering the “three stages” of the growth period. As you see, there are differences between the “way of the Principle” and the “way of restoration.” It is the Blessing marriage that “overcomes the standard of the perfection level of the growth stage” where the fall took place. However, another seven-year course in the perfection stage period is still left for us to reach perfection. After all, shortcomings in the Okamoto theory are: It does not recognize the difference between the way of the Principle and the way of restoration which the fallen man should follow; and furthermore, it makes up a different theory that “individual perfection takes place at the formation level of the perfection stage,” which is not written as such in the DP (Mr. Okamoto alters the DP in his own way). Reverend Moon says, “Never believe anything other than what I say. I dislike any words you add to my teachings. The Principle should remain as it is.” He warns of the attempt by saying: “How can anyone correct the teachings that God and I blessed and sealed?” (God’s Homeland and Perfection of Liberation and New Birth, p.106) The word “Principle” in his teaching: “The Principle should remain as it is,” should mean the DP from its context. Mr. Okamoto criticizes [the UC]: “Would it be acceptable to have conjugal relationships after receiving a “conditional Blessing?” (The One Hundred Proposals, p. 60) “It is a problem from the Principle point of view that the blessed couples started to have conjugal relationships without reaching the individual perfection level.” (ibid.. p.61). Mr. Okamoto’s group proclaims that they have been studying Reverend Moon’s Teachings for more than a decade. If so, how come they don’t know Reverend Moon’s (True Father’s) answers the very question in Blessed Family and the Ideal Kingdom they quote from very often as follows? These are the answers given by Reverend Moon to the question: “Would it be acceptable to have conjugal relationships?” His teachings above provide many clues to understand why the seven-year course at the perfection stage is a family course. In addition, the realm of perfection is one to go up to “in the name of God’s direct lineage.” It is not the realm of the fourth Adam. In addition, Mr. Okamoto makes up a story such as: “Reverend Moon (True Parent) who has turned over forty and reached the perfection is incapable of coming down to the indirect dominion or intervening. Instead, he introduces the fourth Adam. However, Reverend Moon (True Parent) can freely come down to the perfection level of the growth stage in the fallen realm. The pattern of the “family of eight people (Adam’s family)” is formed by the Holy Wedding of the True Parents and the Blessing of the three disciples (three spiritual children). This family can get into the realm of the true child at the perfection stage after receiving the Messiah and going beyond the line of death (the perfection level of the growth stage), and liquidate the original sin. The blessed families must inherit this pattern of the family of eight people which is a victorious realm of the True Parents, in order to restore the birthright of the eldest son and pass through the realm of the true child at the perfection stage. Once you receive the Blessing after restoring the birthright of the eldest son, then you restore the right of parents and the right of kingship, and then finally enter the direct dominion of God. These are the words of Satan, proclaiming “not to give away the birthright of the eldest son (leadership)” through the mouth of Lenin in preparation for a showdown with God on the national level.